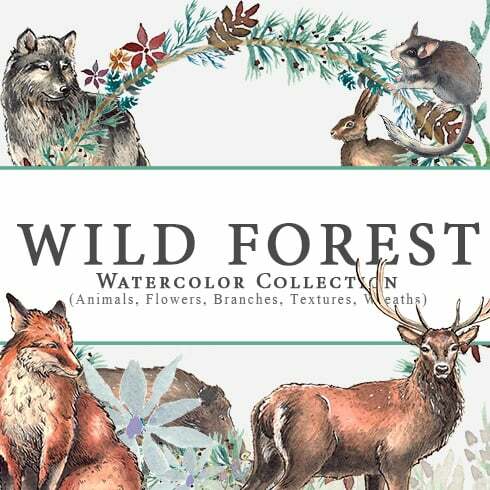 Wild Forest Watercolor Collection – There are 6 different wild unique animals and lots of extra elements such as flower frames and post stamps to make it easy to create designs for your personal or for commercial projects. Floral elements and frames offer endless design solutions, and add a touch of color to your design, they work great on their own, or as an accompaniment to animals! If you’re a graphic graphic designer working on multiple assignments , you comprehend the significance of the entire package of design components available at hands. Hunting for them separately, you may spend whole lot more cash and time . To get every one of the needed components in one pack, we suggest taking a closer look at graphic bundle deals. A bundle is actually a selection of design elements needed for graphic design, priced at a large amount of money, however offered at a discounted price for a very limited time. Considering that all of the deals differ from one to another, almost every designer will find the appropriate selection for a unique venture. Checking them you’ll find the collections including UI kits, social media infographics, illustration swatches, business cards, PPT templates, and much more. On MasterBundles.com , you can find in excess of 450 graphic package deals to choose from. Exactly why are graphic bundles profitable? The pros of graphic packages for graphic designers are usually pretty obvious. But if you are new to those elements and still have doubts, the following info will be useful for you. Including a large number of the components within a single bundle, the collection provides you with a chance to use different of them for many different tasks. What’s more, the cost is often greatly reduced which allows you to save some funds, yet get the whole set valued for hundreds or thousands of dollars. Any ways to make bundles even cheaper? Just share this webpage via social websites – you receive the 5% price reduction for any of the graphic bundles you prefer. That is a quite simple way of getting a professionally designed tools for less money. MasterBundles.com offers you a large selection of different bundles. We sell not only graphics bundles but additionally roughly 20 other different types of products and solutions. Fonts, WordPress themes, mockups, icons, photos, illustrations, presentation templates and a whole lot more – on the MasterBundles it’s possible to obtain all the goods, vital for a design. 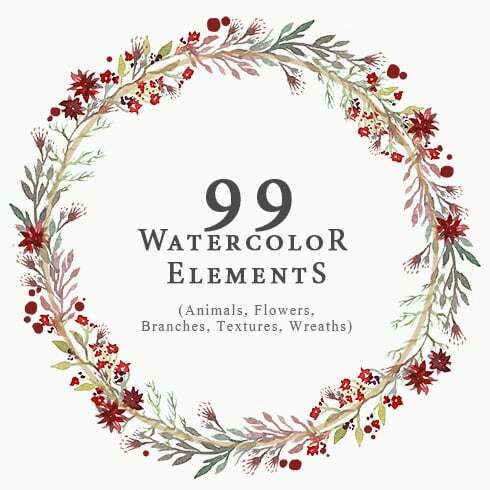 The watercolor graphics bundle is a package containing pics and illustrations made with watercolors. They’ll properly fit for a range of businesses, such as food distributors, perfume, fashion and cosmetics. Wedding invitations or cards may be made using this kind of package. If you feel as if you’ve lost track of time while looking for various resources and components for your design tasks, it is a high time to explore MasterBundles.com. This is a platform providing the hottest instruments (watercolors, presentations, graphics etc.) for graphic designers, entrepreneurs, and developers at a reasonable price for a very limited time. Besides, you may use discount coupons and promotional codes for particular design deals. In order to not miss out on significant news regarding the upcoming promotions, we advise reading our blog and signing up for the newsletter.